Born and raised in New York City, Amanda Katz is a group fitness instructor, writer and crunchy peanut butter consumer. 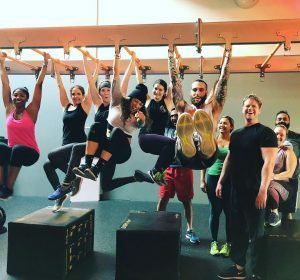 After spending much of her professional life in public health advocacy and communications, she decided to put her love for fitness into practice. Her goal is to provide a fun experience that supports all students in their quest for strength. Amanda is a NASM / AFAA Certified Group Fitness Instructor and holds certification in SCHWINN with MPOWER.